Some surveyors don’t like surveying Bay Windows. Over the years I have seen quite a few surveyors struggle with the measuring of replacement like for like bay windows and just recently a surveyor friend of mine asked me for some advice on surveying bays, which prompted me to tell you about the methods that I have used successfully and in particular one ingenious, very cheap piece of equipment that has been invaluable to me successfully surveying bay windows, along with many other uses for this simple piece of kit in the surveying and inspection process. Personally I don’t like this method as you only have to be a degree or so out on one angle and it can throw the bay all over the place. The only bonus point about this method is that if you are replacing like for like thickness frames (i.e. 65mm for 65mm) you could measure the frame widths from outside if you wanted. 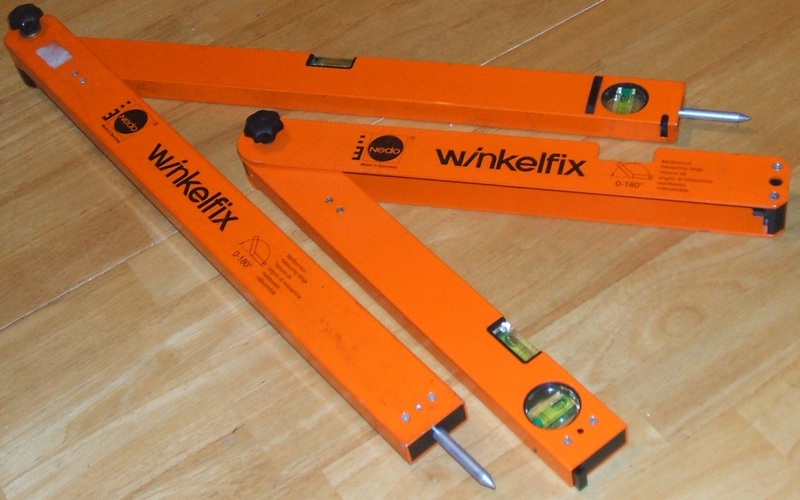 Obviously for the facet widths and angles method you will need a Winkelfix or angle finder and they don’t come cheap at around £130 for the 600mmm version. I have seen one that has had a bump and was 4˚ out so make sure you check them regularly. Now for the ingenious, ultra cheap piece of equipment I told you about, you’re going to love this ! 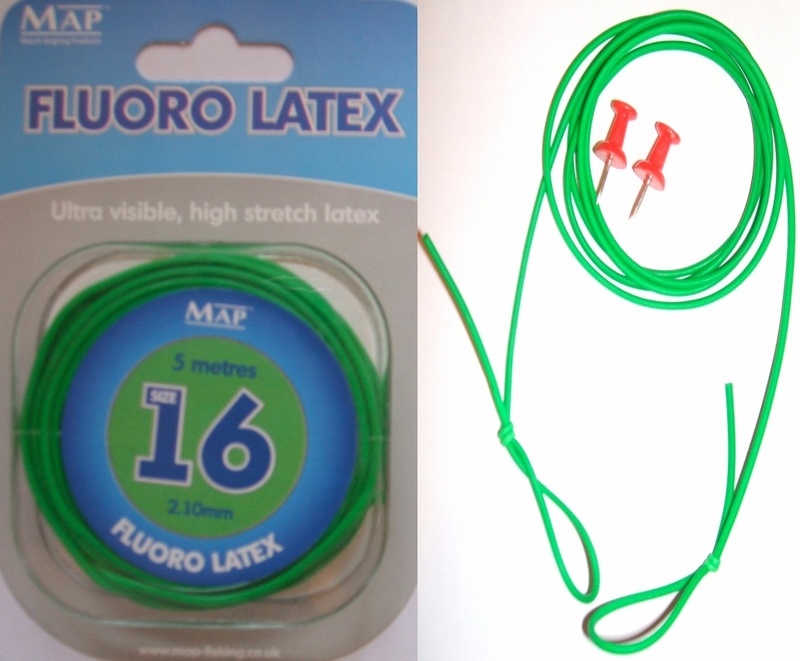 All it is , is a one metre piece of fishing pole elastic with a loop either and two cork board drawing pins. A piece about a metre long will stretch to about five metres and makes a superb string line. All you need to do is stick a pin in the internal window board at the corner point of the frame either side of the bay and hook the elastic loops over the pins and “hey presto” a perfect string line across the internal width to measure the projections of each internal corner point of the bay. You can also use this method to measure the bows and facets on Victorian faceted conservatories. This is a really handy piece of kit to keep in your pocket you can check for straightness, check for bows and bends in conservatory cills and ring beams. You can check warped door sashes by hooking it over the handle up over the top of the door sash and back down to the bottom the other side. It has a multitude of uses. No need to carry a six foot straight edge all the time. Total cost of this high-tech equipment is about £3.50 for five metres, that’s about 70p per string line, a pretty good investment for surveyors I think. Check the levels plumbs and squares of the existing bay and opening and calculate any width deductions or packers required. Leave a 5mm tolerance to either side of the bay. 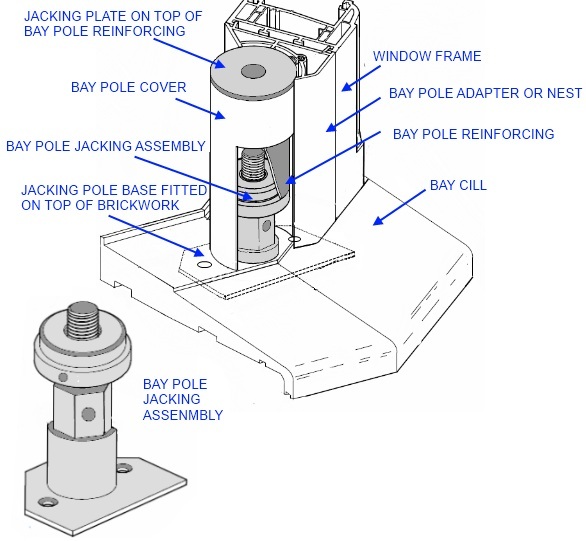 If necessary remove a small piece of plaster off the internal corners to get to the exact corner of the side units of the bay to measure the internal width. Ensure you do not bury to much of the outer frame behind any internal plaster or external render. Ensure you measure all projections at 90˚ to the internal width string line. Check the levels plumbs and squares of the existing bay and opening and calculate any height deductions or packers required. Leave a 10mm tolerance to the height of the bay. Check the height difference between outside cill level and inside window board level to ensure the window frame is not buried below the internal window board. Put a datum point on the glass with a felt pen to measure down from inside and out, to calculate the difference in heights accordingly. 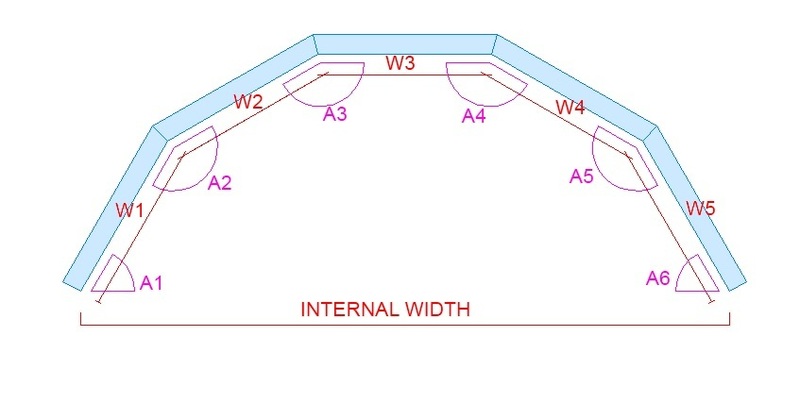 The same methods are used to calculate any differences between internal plaster heads and external heads, this could mean fitting frame packers or add ons. Check any fascia overhangs that might interfere with any side opening vents, and make allowances to suit. Again this could mean fitting frame packers or add ons to the heads. Check the height of the glazing area above floor level if it is below 800mm it will require toughened glass by law. Let me know if the tips in this article will help you accurately survey existing like for like Bay Windows, It’s a general outline of a method that has served me well for years. I found it invaluable for surveying and checking installations, for example, roofs, ring beams and frames being straight without any bows in them. I even encouraged installers to use it. This sounds like a great way of being able to check structures. Thank you for posting. It’s great to hear you are sharing it with other installers. Thank you. Thanks for your comments Isabella. I’m sure if you read through some of the other posts I’ve written there may be a few more tips you’ll pick up.